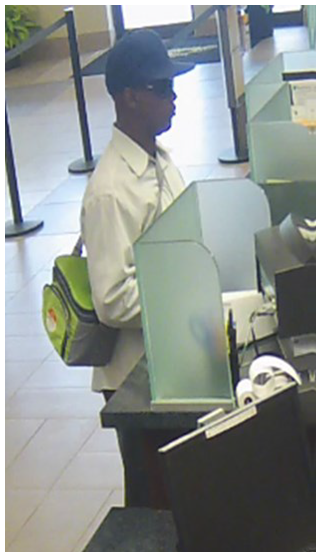 The Palm Beach County Sheriff’s Office is seeking the public’s assistance in identifying a suspect wanted for Bank Robbery. 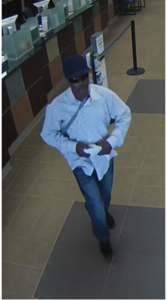 An unknown male suspect entered AM Trust Bank passed a note to the teller demanding money. Once getting the money, in hand, the suspect fled to a Ford Taurus, beige, with a faded roof.This incident occurred on June 29, 2018 at 3:30 pm. AM Trust Bank is located in the 6400 block of Lake Worth Road, unincorporated Lake Worth. ← The Palm Beach County Sheriff’s Office is seeking the public’s assistance in identifying two suspects wanted for retail theft / battery at a Mobil Gas Station.